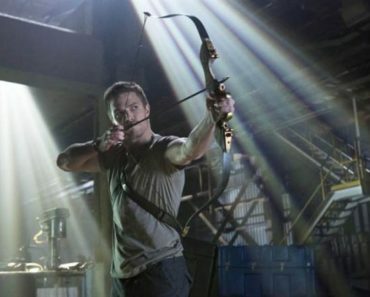 Arrow Season 7 Episode 14 Review: "Brothers and Sisters"
After a three-week break and following an episode that revealed that Katherine McNamara’s Blackstar is actually Mia Smoak, this week’s family-centric hour of Arrow, appropriately titled “Brothers and Sisters,” continues the CW series’ hot streak. The episode provides viewers with a couple surprising twists, an (apparent) character death that is long overdue, and some wonderfully satisfying emotional moments. 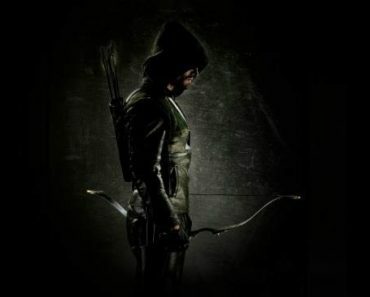 While I am intrigued with the reveal that Emiko is playing Oliver and working with Dante (although I still don’t exactly know or truly care who Dante is) and I am so very happy that Ricardo Diaz is dead (at least I hope he is, but honestly, he’s probably still alive given this tweet), what I enjoyed most about this week’s Arrow were the smaller, more intimate scenes, particularly between Oliver, Felicity, Diggle, and Black Siren but also between William and Mia as well. Let’s begin with the last of these exchanges: Felicity sharing the news with Oliver that she’s pregnant and Oliver figuring out this information just a couple seconds before she outright says it, pretty much as soon as she uses the word “children.” It’s a great scene for numerous reasons, from Stephen Amell perfectly capturing Oliver’s mind slowly but surely connecting the dots to the fact that the writer’s chose to have Oliver be speechless, showing that he’s overwhelmed with emotion but also emphasizing the fact that what Felicity just said before, the words before she uttered, “I’m pregnant,” are significant enough to stand on their own. “What our family needs is a fresh start, one in the light, like you’re doing,” Felicity says to Oliver. “I want our children to know that they are the most important thing to us and that we would do anything, anything, for them.” That statement from Felicity carries more weight than the reveal that she is pregnant, because it stems from her rediscovering her own strength, the knowledge that she doesn’t have to act out violently because of fear but can be a better hero, person, and mother, just like she has always been. Felicity recognizes the darkness that erupts inside of her anytime Diaz appears to be a threat, and at first, she leans into that darkness, believing that it may be the only way to save her family and, in particular, her soon-to-be born daughter, Mia. But Black Siren with her words and Oliver and Diggle with their actions help remind Felicity that falling victim to her worries, as real as they may be, is not the answer—facing these fears, fighting them, and ultimately rising above them is what she needs to do, because, as Black Siren tells Felicity, she has “nothing to be afraid of” and she is more than capable of protecting her family just like she has in the past. 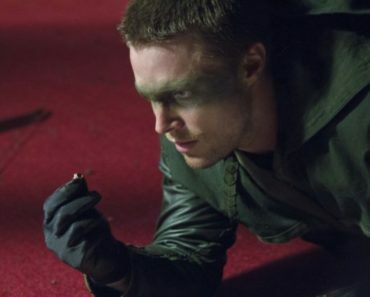 Although Black Siren’s awesome pep talk, Oliver’s insistence on fighting in the light in recent years, and Diggle’s attempts to repair his and Felicity’s friendship (more on that in a bit) definitely influence Felicity’s decision to not shoot and kill Diaz when she has the chance, it’s also important that Felicity makes this choice on her own without anyone else around her. Sure, those closest to Felicity can support her and give her advice and listen to her concerns, but ultimately, this rejection of the darkness had to come from her and her alone. When it’s just her and Diaz in that hallway, the words of Black Siren or the actions of Oliver may be bouncing around in Felicity’s mind, but she chooses to spare Diaz’s life not because of outside influences but because of the life growing inside of her. Felicity wants to be the best person she can be not because Team Arrow is now deputized and not because it’s what some people expect of her. She wants to be her best self because it’s what she knows her daughter deserves. Even before she’s born, Mia Smoak is saving her mother’s life, serving as the inner flame that reignites the strength that has always been inside of Felicity. But while Felicity’s connection to both Oliver and Mia is important, a relationship that is equally significant is Felicity’s friendship with Diggle, which has been strained for much of Season 7 due to Diggle valuing his allegiance to ARGUS over his bond with Felicity. Thankfully, the writers allow Felicity to call Diggle out on his behavior in “Brothers and Sisters”; when he reveals that Diaz is a part of the Ghost Initiative, Felicity forces him to “realize this is the second time you have prioritized your job over keeping your friends safe.” Obviously, Felicity’s comments have a major impact on Diggle, because he doesn’t just express his remorse through weightless platitudes; instead, he actually shows Felicity that’s he is sorry through his actions, allowing Dante to escape in order to make sure Diaz is caught and put back behind bars at Slabside. So why does Diggle make this choice? Felicity’s verbal smackdown doesn’t just make Dig feel bad; it reawakens a fact he’s known for a long time but has momentarily forgotten in his time away from Team Arrow, in his time away from both Oliver and Felicity. 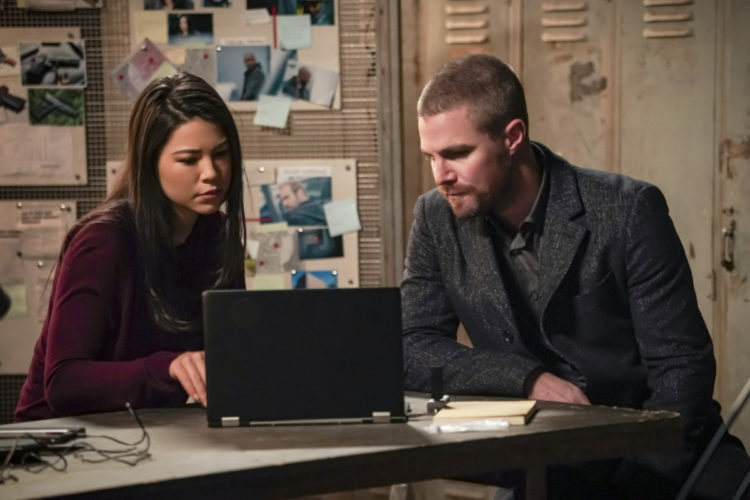 He initially tells Felicity that Diaz “is the objective, just not the priority. Not this time,” but this is about so much more than one, singular mission for John Diggle. This is about the happiness and security of Oliver and Felicity. This is about his two best friends. This is about his family. “When I knew there was a choice between catching Diaz or Dante, all I could think about was what letting Diaz go meant to you last time, Felicity,” Diggle tells her, “so in that moment, I decided sometimes the best choice is to just protect your family. And that’s exactly what you two are.” This statement from Diggle isn’t any type of game-changing declaration, but still, given the behavior we’ve seen from him for much of Season 7, it’s an important reaffirmation of what Oliver and Felicity have meant to him and will continue to mean to him throughout the rest of the series. And if Felicity can forgive Diggle for his out-of-character behavior this season, so can I. I am optimistic that Dig will continue to prove who he truly is through his actions for the remainder of Season 7, because the Real John Diggle appears to be back. Hopefully, he sticks around. 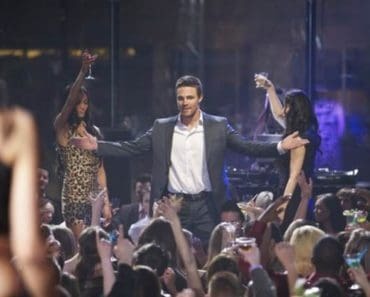 While I was in the middle of writing this review yesterday, Stephen Amell announced that Arrow‘s eighth season will be its final one and that it will consist of 10 episodes. 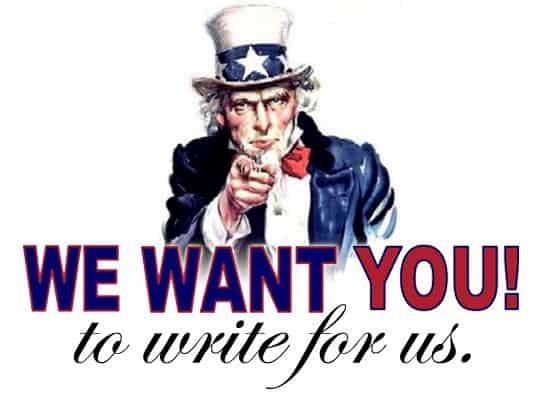 I’ll have a lot more to say about Arrow ending as we get closer to that final season, but for now, if you want some of my thoughts, I shall direct you over to my Twitter where I rambled on about the show and what writing about it has meant to me over these past few years. So Connor Hawke isn’t Diggle’s biological son but his adopted one? Consider me confused. I thought he was John Diggle Jr. I could watch an entire episode of Mia and William working together to track down Felicity, swapping childhood stories and sharing memories of their parents. Also, William’s response to Mia asking “What’s an answering machine?” was priceless. I love how the Arrow writers had Oliver take the lessons he learned regarding his relationship with Emiko and use them with Felicity when he tells here that he “didn’t realize or totally understand the pain you were going through” and “I have your back no matter what.” When the series can connect storylines like that on an emotional level, not just a plot-level, and have the characters not just be told how and why they should change but have them actually implement it…that’s the good stuff right there. So what does everyone think Dante and Emiko’s ultimate plan is? Any guesses? Quick side note about Emiko: I’m pretty bummed that she appears to be evil. Why can’t Oliver have nice things, Arrow writers? Thea’s not around more. He deserves a good, healthy relationship with a sibling, and he’s trying so hard. Sigh. So Diaz is burned alive at the end of the episode, but I’ve thought he was dead in the past. Until I actually see the body, I’m going to just assume that he, unfortunately, survived. 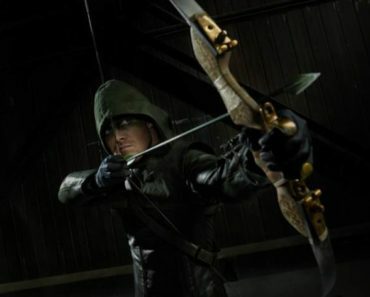 And whether he’s dead or alive, I will still always wonder what the hell was going through the Arrow writers’ minds when they decided that Ricardo Freaking Diaz was going to be the longest-lasting villain the series has ever seen.